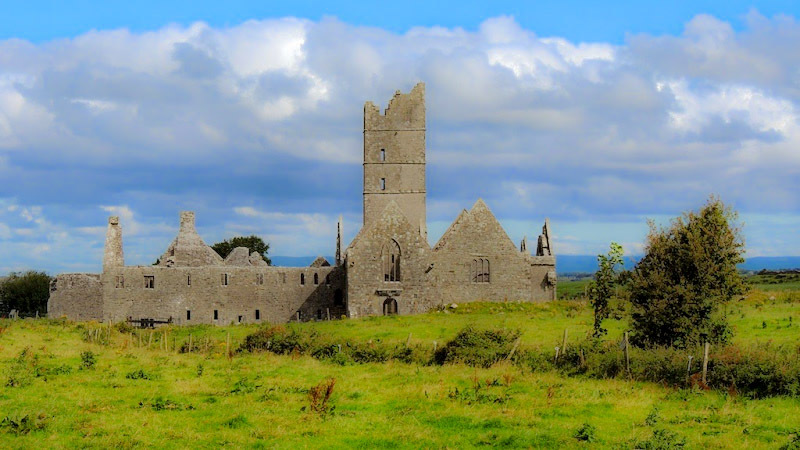 In July 2016 Phase 1 of “The Monasteries of the Moy Greenway” has been officially opened by Mr Michael Ring, T.D., Minister of State for Regional Economic Development at Belleek, Ballina. The 4km long Phase 1 runs through the magnificent Belleek Woods and finishes at Knockitanole. It is suitable for walkers, cyclists, joggers and dog owners alike. When complete, the Monasteries of the Moy Greenway will be a 12.5 km cycling and walking route winding along the Moy western bank from Ballina to Killala and reaching some ancient abbeys and historical sites including Moyne Abbey and Rosserk Abbey. The project is to be developed on a phase-by-phase basis. The Greenway, the second route of its kind in County Mayo, will offer stunning views along the Moy Estuary and north Mayo coastline taking in sites with rich ecclesiastical heritage.